With the much anticipated MDC-Alliance elective congress slated for early next year, details of dirty schemes are emerging from the corridors of power at Morgan Tsvangirai House. These maneuvers point to a purging of party members for convenience purposes. In typical cobra style, Nelson is ready to strike and spit venom at his imagined enemies in the party. Developments in the new look MDC Alliance point to a swift plan by the Acting President Nelson Chamisa to fiddle with the structures, purge Vice President Eng. Elias Mudzuri from the party. The plan is to elbow out Mudzuri before congress for airing his concerns questioning the rampant violation of the party constitution and deviating from the founding democratic values of the party as decisions are made unilaterally without due processes of consulting the party structures. It is alleged Mudzuri is of the mitigatory stance against the wholesale expulsion of party members who are purported to have stood as independent candidates during the 30th July harmonized elections together with those in leadership positions who supported independent candidates or stood as their polling agents. Under the guise of instilling discipline, Chamisa through the high sounding national organizing Secretary Amos Chibaya has issued a directive to the Provinces, Districts and Wards to the effect that those who stood as independent candidates are automatically expelled from the party together with those who were their polling agents in the past elections. The overzealous Chibaya went a step further and issued out a decree that Acting President Nelson Chamisa will not be contested as there is no vacancy in the presidium torching a storm that has been brewing for some time in the movement. Chibaya also said the party will take stern measures against those who dare campaign for the presidency. It is murmured that Mudzuri stood up to Chamisa's bullying carrot and stick tactics in a recent meeting and spoke about the need for unity. Mudzuri's contention against Chamisa's dictatorial and selfish expediency tendencies is premised on his argument that whilst we are integrating, we must not also not be found dis-integrating by pushing out old cadres under the guise of instilling discipline in the party whilst courting and re-admitting members from NPP, ZIMPF, NPF etc. Vice President Mudzuri contends that these members should just be cautioned, re-oriented and given a chance to seek and win or lose their current mandates in the forthcoming elective congress. In this context, it is to be seen whether Mudzuri is pushing party members to reject any attempts and innuendos that confer the presidency and other senior posts outside a congress as that should be the preserve of the forthcoming elective congress. Vice President Mudzuri reiterates that all party actions, policies and practices must reflect the fundamental democratic ethos and tenets as dictated by the party constitution and argues that the movement's constitution should be the reference point for all actions. He believes it is high time the party reflects and learn from the mistakes from this past election that are definitely destroying the party. If these events unfolding are anything to go by, it is evident that the movement is self-defeating its founding objective to deliver democracy in Zimbabwe. 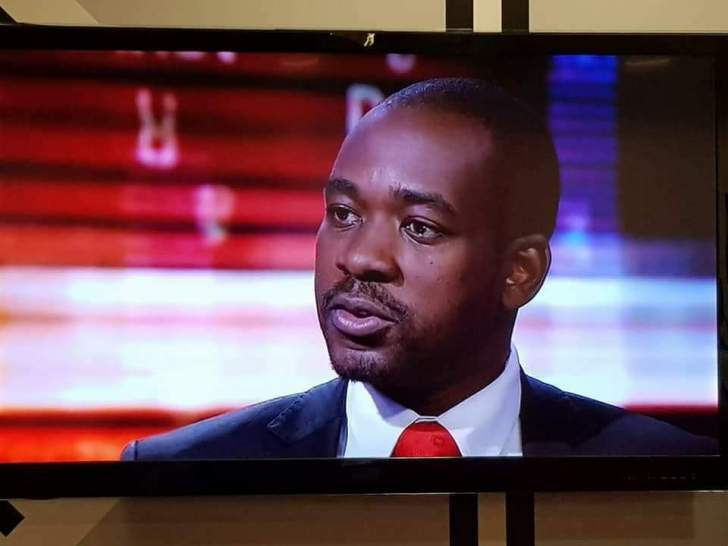 Events leading to Chamisa's assumption of the MDC-T Presidency raised more questions than answers that calls for some serious re-introspection by none other Nelson Chamisa himself. There is need to re-invigorate the party structures that were left in a daze during the chaotic and violent marred primary elections, candidate selection process and the recent imposition of city mayors. Chamisa is aware that the disillusioned and disgruntled MDC structures are not going to forgive him at congress for candidate imposition, primary election vote rigging and fornicating with the Mugabe and his G40 Cabal on the eve of the elections hence the purge of the purported enemies. The MDC Alliance's fatal mistake was fielding double candidates several constituencies and wards that led to splitting of votes for example Harare South Constituency where Shadreck Mashayamombe garnered 21 363 thousand votes while another alliance candidate Saurombe Tichaona Samuel garnered 7 868 totaling 29 231 votes enough todeliver victory against ZANU-PF's Tongai Mngangagwa who choked out 24503 votes. The purging of party members is Chamisa's plan to smother his imagined rivals by cutting off their supporters like gangrenous limbs and all those whom he feel are not going to support his already conferred presidency at congress.